Upstart loans are available to average-credit borrowers and to borrowers who are new to credit but have promising college degrees and financial futures. You have average or better credit. Upstart requires a credit score of at least 620 and considers other factors such as education, employment and income when approving loans. You have annual income of $12,000 or more. The income can come from a full-time job, part-time job, job offer letter, or disability and retirement income. You need fast cash. Upstart loans are typically available in one day following approval. Origination fee: 0.0% - 8.0%. Late fee: 5% of past due amount or $15, whichever is greater. Click "Check rates" to get started with Upstart. To review Upstart, NerdWallet collected more than 30 data points from the lender, interviewed company executives and compared the lender with others that seek the same customer or offer a similar personal loan product. Loan terms and fees may vary by state. Upstart personal loans can be used for a variety of purposes, including debt consolidation, medical expenses, home improvements and college tuition. 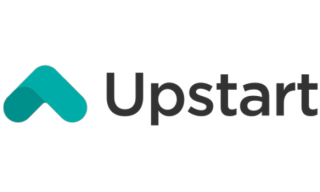 Upstart’s underwriting helps younger applicants or others who have thin or no credit history but high earning potential, according to a company spokesperson. The company assesses factors like college degrees, area of study and job history. Best of 2019: NerdWallet recognized Upstart among our list of Best Personal Loans of 2019 in the category of bad credit. Credit requirements: For applicants with credit history, Upstart requires a minimum credit score of 620, no recent bankruptcies or delinquent loans, and fewer than six inquiries on a credit report in the past six months, not including inquiries related to student loans, car loans or mortgages. Fast funding: Upstart provides quick loans funded within one day, except for loans for educational expenses, which are subject to a three-day waiting period. Students may need to supply additional documents, such as college transcripts and SAT scores. Loan example: Upstart’s average three-year loan has an annual percentage rate of 20%, according to the company. For a borrower with average credit, a three-year, $10,000 personal loan at 21.8% APR would have monthly payments of $381, according to NerdWallet’s personal loan calculator. If you’re new to credit, Earnest and SoFi also consider your academic background and job history in their loan decisions. But both lenders typically approve borrowers with excellent credit scores and very high incomes. You can fill out an application on Upstart’s website. You can enter the amount you want to borrow and answer questions about your credit score, level of education and other details in order to see an estimated rate for a loan.